Order business checks online or call us toll free at 888-447-3282, or if you prefer to fax/email your order click here to print the EZ check order form. The check imprint will be printed exactly the way you enter it, (i.e. upper and lower case). Be sure to double check spelling, punctuation and abbreviations. Important: First time orders require a faxed or emailed voided check copy to verify positioning of the routing & account numbers. 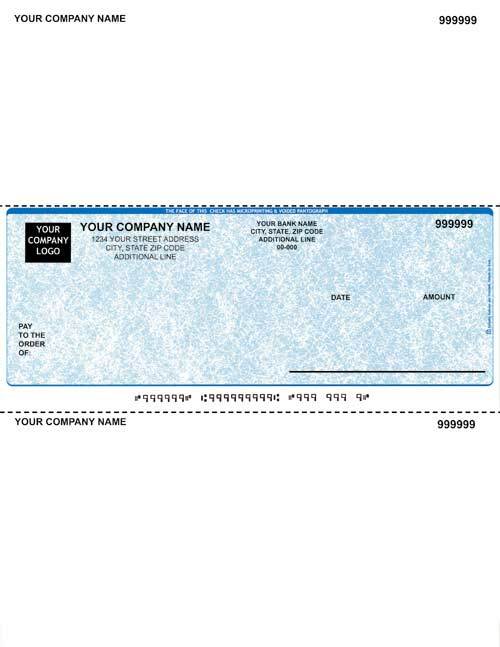 Laser checks are 8 1/2" x 11"
Need help filling out the form? Please click here for our Frequently Asked Questions.